This is a hydraulically operated disc harrow with EN-42 High Carbon Steel designed for working in orchards, groves and vine yards, in addition to regular field discing. 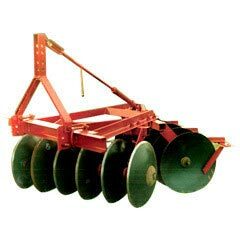 This Discs Harrow is available in 12,14,16. 18 & 20 Discs as per availbility of tractor H.P.